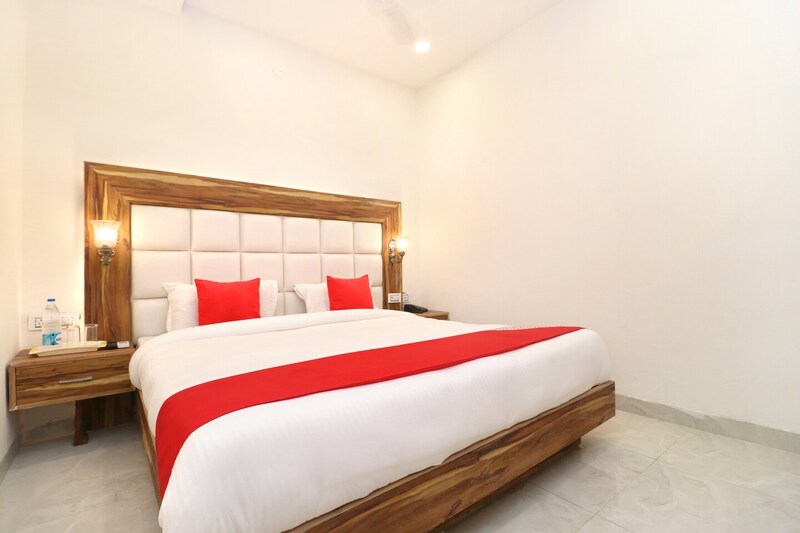 Whether you are on a work trip or leisure, Hotel D Plaza in Zirakpur offers a comfortable experience and positive ambiance. With minimal furnishings and padded headboards, the compact rooms at Hotel D Plaza look appealing. The wood used in the furnishings enhances a rustic feel. The hotel has elevators, and provides power backup and parking facility. The hallways have beautiful paintings and portraits, enhancing the appeal of the hotel. The property also has a spacious banquet hall for holding various functions and events, such as seating area, free WiFi service and CCTV cameras for security in the premises are also present.